I decided to make some bread without using my breadmaker. All was well until the last rise – it then spread a little flat – I’m not terribly unhappy with it – of course, it hasn’t been tasted yet. Still needs to cool. So, tomorrow morning I’ll cut a slice. This will be my learning loaf – will do better next time. 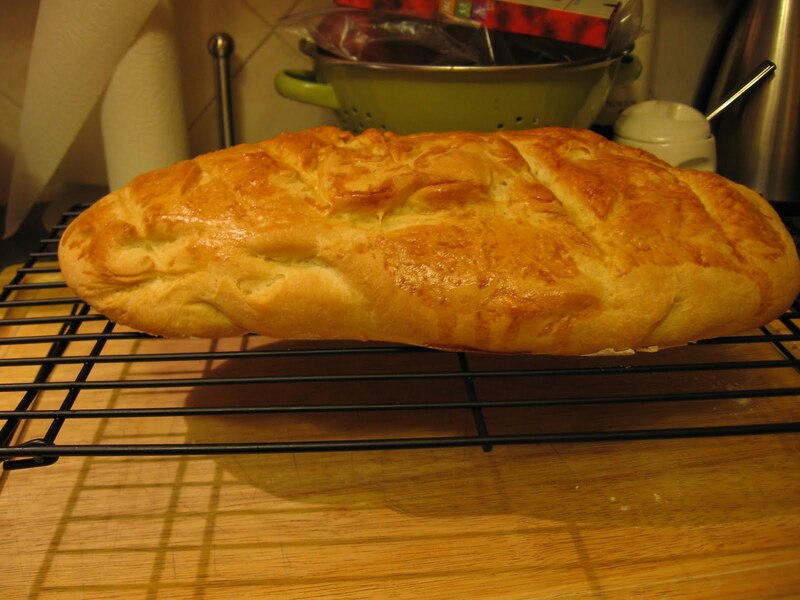 Still was fun – used my dough hook for only the second time. Maybe use a bread pan for the next one.